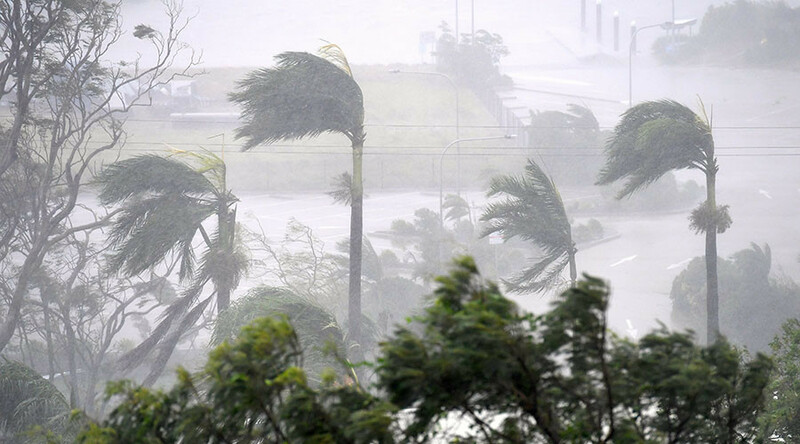 Thousands of people have been evacuated as a monster category four cyclone smashed into the coast of Australia, with winds over 260 kilometers per hour (160 mph) ripping off roofs and uprooting trees in Queensland. The 50-kilometer-wide eye of Cyclone Debbie struck along the north Queensland coastline; starting with Whitsunday Islands and the nearby mainland. The hurricane strong winds are currently packing a force of roughly 185 kilometers per hour, the Bureau of Meteorology (BOM) said, warning that gusts could reach 270kph near the center. The category four storm has already left more than 30,000 people without power in Airlie Beach, Proserpine, Bowen, Mackay and Cannonvale, Ergon Energy reports. “We’re getting some reports already of roofs starting to lift, including at some of our own facilities in the Whitsundays,” the state’s deputy police commissioner, Steve Gollschewski, told Australian Broadcasting Corp. Furthermore, some 25,000 people have already evacuated from Queensland due to the severe weather conditions, where a tidal surge of up to 2 meters is expected. To keep the Queensland residents safe, a flood warning for the Proserpine River Bowen's Don River and a Pioneer River in Mackay has been issued. The BOM warned that up to 500 millimeters of rain could fall before the cyclone passes Queensland. The skies are expected to clear by Wednesday.